11 Sunstones set in 14-karat gold. Featuring a 21 carat yellow sunstone pear shaped center stone surrounded by eight 6mm red-orange sunstones, two 7mm red-orange sunstones. 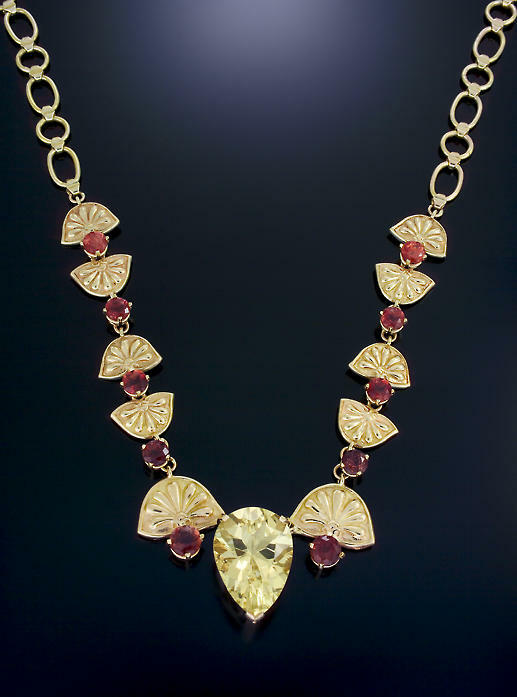 Total carat weight of the red sunstones is 7.3 carats all set in 31 grams of gold.